The washing machine, air conditioning, and plumbing all happened the same week. Lucky for me, my dad was fairly confident he could fix my washing machine and garage door. 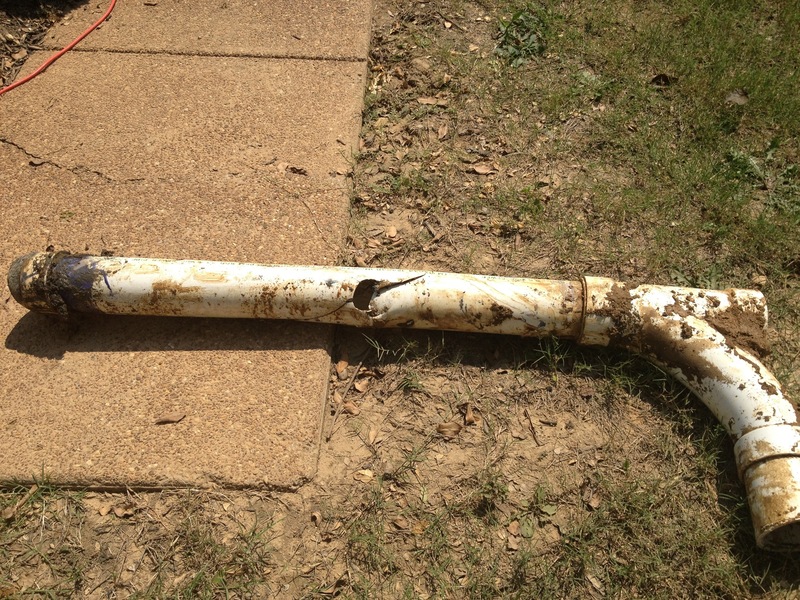 However, when he was at my house working on them, all of my plumbing completely failed without warning. I was washing my hands and all of a sudden I heard the dreaded glop, glop, glop of the toilet. I didn’t even own a plunger so that was the first order of business. After purchasing one, I plunged every single thing in my house I could possibly plunge, to no avail. All it seemed to be doing was moving water from the toilets to the bath tubs and shower and back to the toilets. Of course this was on a Saturday. Luckily I was able to get a plumber to come by and thought a couple hundred dollars later I’d be back in business. Yeah, not! Instead, they found mud in my lines. Mud! Apparently this is indicative of a line break so guess what!? My yard and part of my driveway had to be dug up to get to the break and fix it, and my visions of it only costing a couple hundred dollars flew out the window. 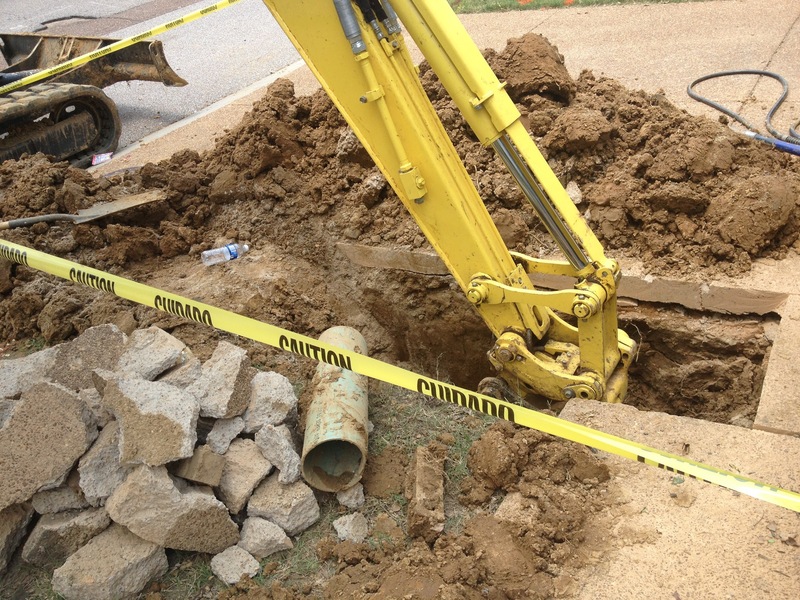 Here’s part of the culprit–a huge hole in a pipe. Yes, I said part of the culprit. There were other breaks. The day the plumbers came to dig the hole and fix it, my air still wasn’t working so I called the HVAC company in to take a look at that, too. Thankfully, that was a fairly simple fix (fingers crossed it sticks). After about 8 hours of some serious hard digging, sawing, and fixing, my plumbing was working again, too. A big hole in my yard and driveway. This was actually just the beginning. The final hole was about quadruple this. Sadness! Oh, and one of the plumbers took about 15 seconds to show me something on my garbage disposal called a reset button. I kind of wish I had a reset button for myself, too. Do you ever feel like everything is falling apart? Tell me about it in the comments.